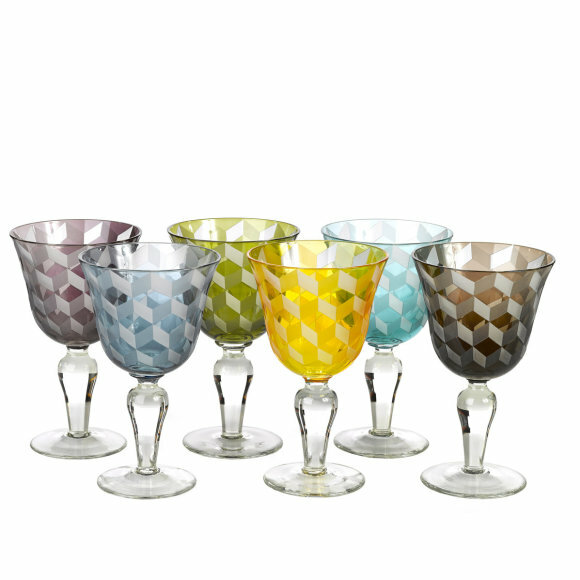 These glamorous multicoloured wine glasses from Pols Potten come as a set of six. 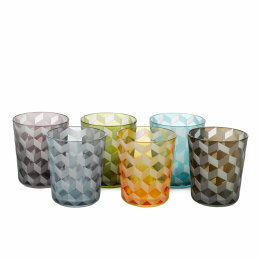 Each large coloured glass features a striking geometric design and is finished with an elegant clear stem. Spoil your guests with a choice of six different colours but don't forget to reserve your favourite one! Dishwasher safe, they are both practical and stylish.